Form pruning early in the life of a planting is a crucial operation. 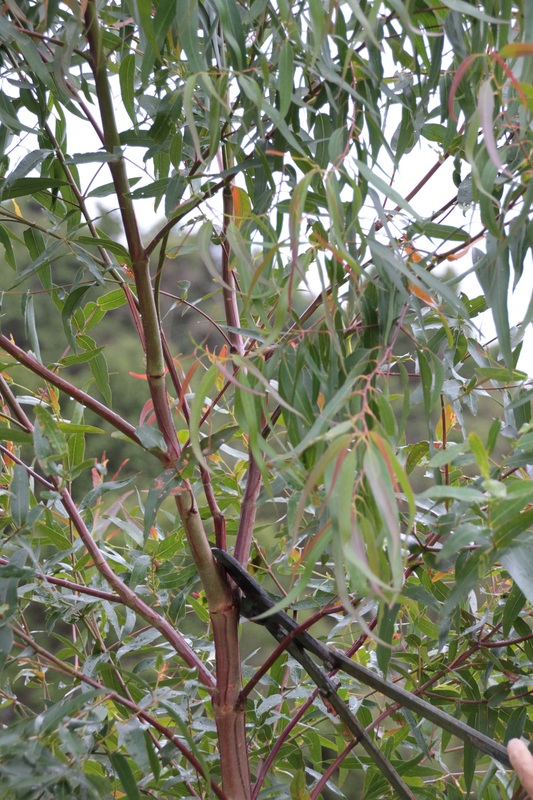 If you want to grow eucalypts for posts, poles and sawlogs, your trees need to have a single straight stem. 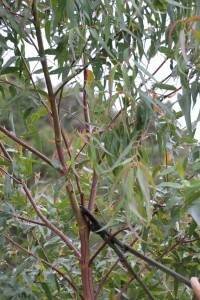 Eucalypts may form double leaders and occasional large branches. Form-pruning removes these defects. 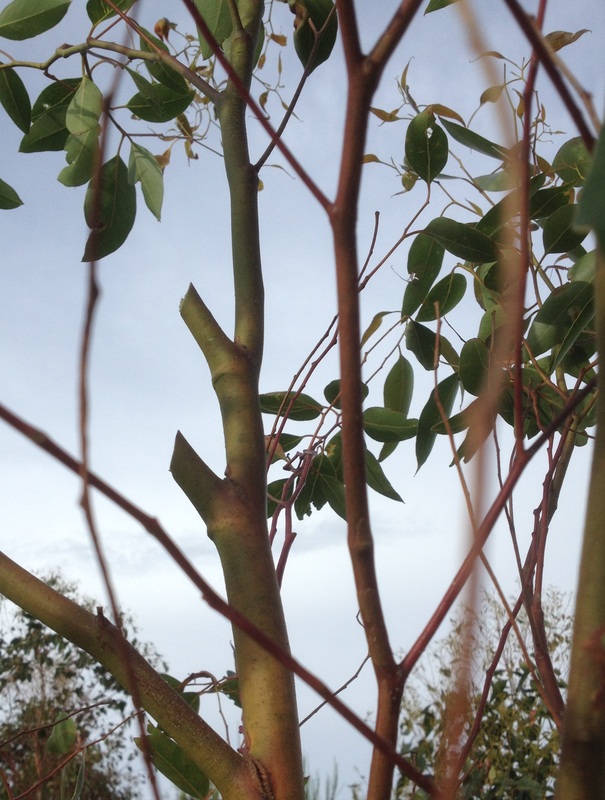 Timely form pruning of young eucalypts is quick and easy, and ensures trees develop a single straight stem. We recommend form pruning all trees in the first instance; following this you will be able to select crop trees for future form pruning and clearwood pruning operations. Reduce double-leader trees to one leader by removing the smaller or more crooked leader, or the one on the windward side. Better to leave a 15mm branch stub than damage the branch collar or main stem. Remove or shorten any large branches (ramicorns), so the tree is well-balanced. 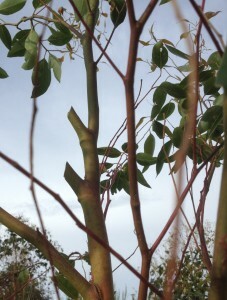 Remove steep-angled branches (stem/branch angle less than 30 degrees). Multi-leadered or damaged trees can be cut right back almost to ground level as long as enough foliage is left for them to survive and produce a new leader. Try not to remove more than 40% of the total foliage; leave trees enough ‘green engine’ to grow.